East Somerset Street in the Kensington neighborhood of Philadelphia. Cleaning up the neighborhood is good for a community’s health, a new study out of Columbia University suggests. The report, published online this week, was conducted by researchers from the Mailman School of Public Health. In their research, a random sample of 541 vacant lots across different Philadelphia neighborhoods was observed over three years. Once lots were cleaned up and, in some cases, used for public gardening, researchers found not only a reduction in crime, but an improvement in the neighborhood’s health. 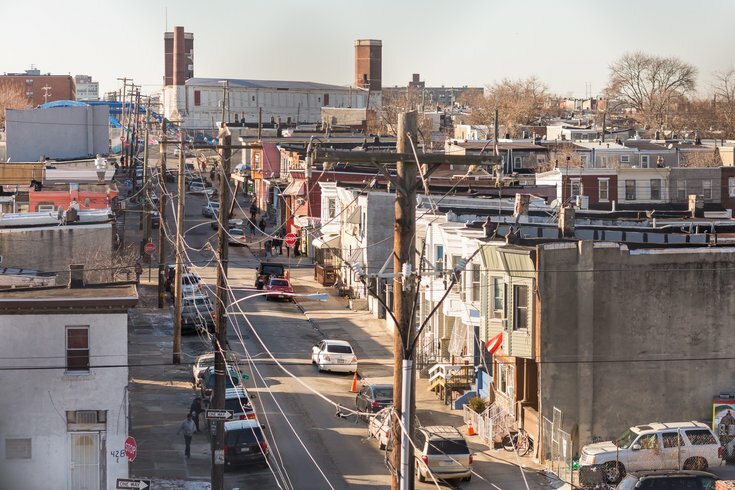 In the study, the improvement of vacant lots led to the biggest improvements in crime rates in Kensington, Southwest Philadelphia and North Philadelphia. There are currently more than 40,000 vacant lots throughout Philadelphia where these tactics could be applied. Throughout the research, 201 of the lots selected were given a facelift: trash removal, new grass and trees, and upgraded fencing among the improvements. Another portion of the lots, 174, received less drastic improvements, just receiving trash cleanup and grass mowing. Before refreshing the lots, however, the areas surrounding them were studied for 18 months. The other lots remained the same until the research was finished. After the lots were cleaned up, researchers continued to observe for another 18 months. In the end, they assessed neighborhoods below the poverty line and found a significant drop in crime, with gun violence dropping by 29 percent, burglaries by 22 percent, and nuisances by 30 percent. Perceptions of public safety also changed for the better. In addition to easing crime, the study showed the health benefits to urban renewal and the creation of green space, building on previous research on the topic that suggested greened vacant lots lessened the stress levels of residents. “The effectiveness of infrastructural interventions in decreasing gun violence and crime and increasing perceptions of safety also offers a practical example of a public health approach that transcends the conventional model of targeting behavior change on an individual level,” the report concludes. Check out the full study at PNAS.